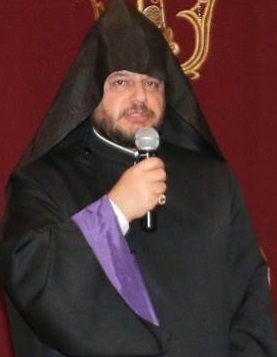 On Sunday, November 11, 2018 at 2:00 PM a special membership meeting of Holy Trinity Armenian Church was convened under the presidency of His Grace Bishop Abgar Hovakimian, Primate. This meeting was significant due to its impact on the Toronto Armenian community at large. Present to the meeting were Rev. Archpriest Fr. 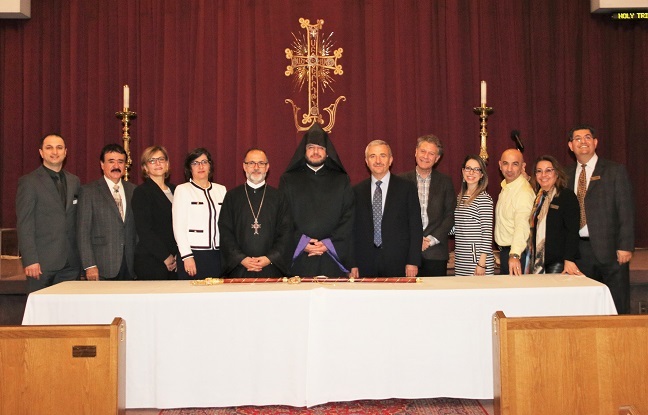 Zareh Zargarian, Vicar of the Armenian Church Diocese of Canada and Parish Priest of the Holy Trinity Armenian Church, Mr. Ohan Ohanessian, Chairman of the Diocesan Council, Mrs. Rosine Imasdounian, Chairperson of Holy Trinity Armenian Church Parish Council, Dues paying members, representatives of Armenian sister churches and organizations, and a large number of community members in particular noticeable presence of the youth. Upon the welcoming words of the Parish Council Chairperson, Mrs. Rosin Imasdounian, invited Mr. Jack Stepanian Chairman of the Diocesan Board of Trustees to chair the special membership meeting and Mrs. Betty Panossian and Ms. Arine Kemkemian to act as Armenian and English secretaries respectively. The meeting commenced with Bishop Hovakimian’s opening prayer and proceeded as per agenda. 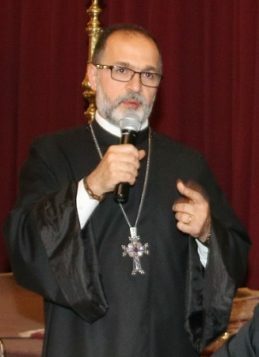 Mr. Ohan Ohanessian, gave a brief description of the highlights of the purchase and the sale agreement between AGBU and Centennial College, mentioning the required sale price of $8.5 million dollars, the down payment amount, also as per agreement Holy Trinity Armenian Church’s right of first refusal till January 2019 and the final purchase deadline of January 29, 2019. A video presentation of the existing Church and the AGBU properties was displayed for the interest of the community. 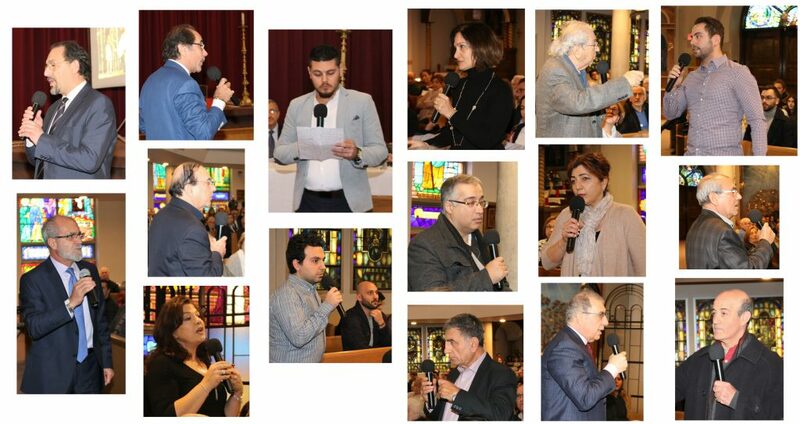 The resolution prepared by the Parish Council of the Holy Trinity Armenian Church in English and Armenian was read by Mr. Ohan Ohanessian and Mrs. Rosine Imasdounian respectively upon which Mr. Jack Stepanian, the Chairman opened the floor for discussion. 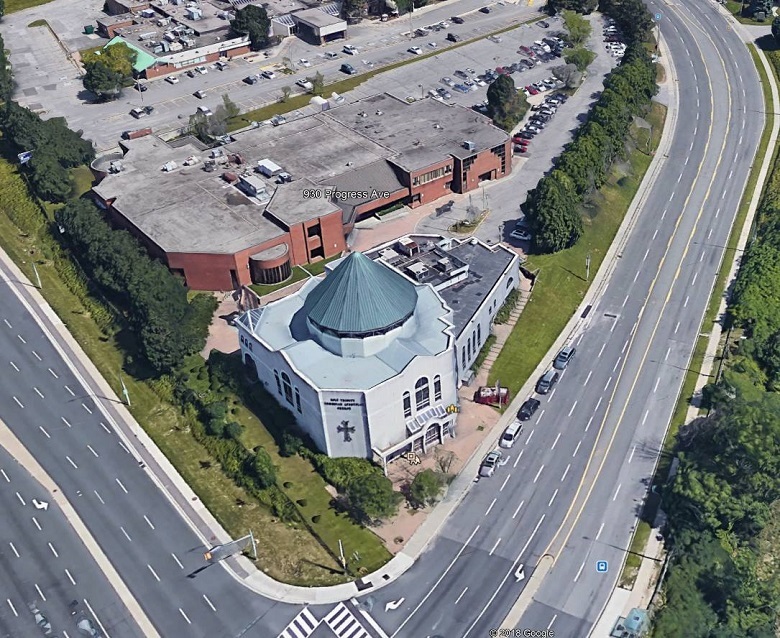 The Parish Council of the Holy Trinity Armenian Church has closely followed the latest developments with regards to the Purchase and Sale Agreement between AGBU Armen Ontario and Centennial College for the AGBU property. 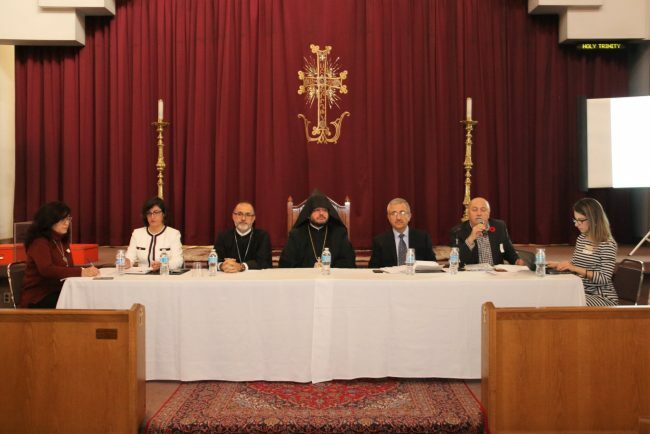 To best serve the interests of the Church, the Parish Council recommends to the General Assembly to approve this resolution and to mandate Mr. Ohan Ohanessian Chair, Diocese of the Armenian Church of Canada, Mr. Jack Stepanian, Chair of the Diocesan Board of Trustees, and Mrs. Rosine Imasdounian, Chair of HTAC Parish Council and Mr. Ara Boyajian, Chair of HTAC Construction Committee, to assess the impact of the sale of the AGBU property located at 930 progress avenue, on the operation of the HTAC and explore all possible avenues to best safeguard the interests of the Church, including the preparation of a feasibility study, approaching financial institutions and getting commitments from major donors to kick start a community wide fund raising drive to secure the necessary funds, and exercise, by January 2019, its first right of refusal to purchase the property by January 29, 2019. Those present to the meeting entered into healthy and constructive discussions asking question, expressing concerns and suggesting solutions for this extraordinary situation due to proposed sale of the AGBU Centre to Centennial College. 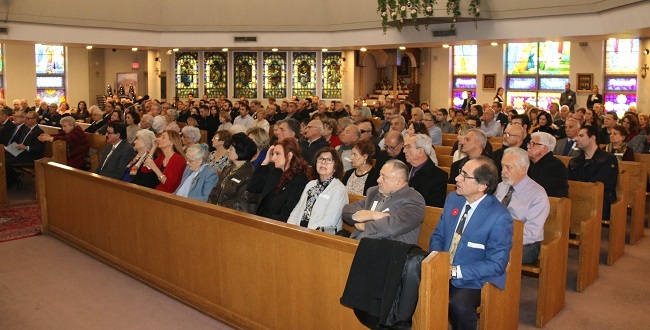 During the discussion period, Mr. Hagop Janbazian the Chairman of the Interdenominational Committee of Toronto representing St. Mary Armenian Apostolic Church, St. Gregory Armenian Catholic Church and Armenian Evangelical Church’s Parish Priests made a positive and inspirational statement expressing his support and unity with Holy Trinity Armenian Church. Mr. Ara Ter Harutunian, the Vice Principal of St. Sahag and St. Mesrob Armenian Saturday School, Mr. Sevag Avakian, Director of Youth and Barev Centre’s Board Member (also Choreographer of Sassoun Dance Ensemble), as well as a representative from The Armenian Community Centre, expressed their solidarity and encouragement to make every effort in support of the resolution. Fr. Zareh Zargarian, expressed his appreciation to all representatives of Armenian Churches and organizations who expressed their support. He encouraged the community to stand in solidarity at this critical time in history of our community. His Grace Bishop Hovakimian expressed his thanks to the Armenian community for the display of unity and support and readiness to assist in bringing a resolution to current situation. Furthermore, Bishop Hovakimian in support of fundraising made an impressive gesture by donating his Panagia and Crosier as the first donation to the fundraising drive. By way of secret balloting 130 dues paying members (out of 400 community members attending the meeting) voted on the proposed resolution. The outcome of the voting confirmed 122 votes Yes, 5 votes no, 3 votes abstained.